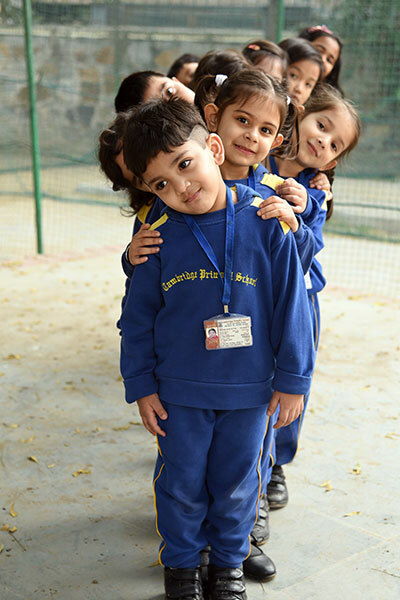 The traits of character, confidence, curiosity and compassion are what we aim to inculcate in Cambridge School. Our role, quite simply is to develop the potential and proclivities within each individual student, leading to a life of individual fulfilment. We ensure that academic skills are understood in context so that they may be applied only for good. Teaching and training in science, literature, history, mathematics, art or games – whatever the subject – is based on this philosophy. Mathematics develops the logical mind; science illuminates our world, both living and inanimate with astonishing precision; history, the sense of culture and continuity without which we have no sense of belonging and no appreciation of the varieties of thought and experience of different traditions; participation in games and sports combines the instincts of competition and teamwork as possibly no other activity can and builds physical as well as mental endurance. In literature, music and art we experience language, image, melody or rhythm at their most appealing and powerful, developing aesthetic, sensitivity and compassion; psychology makes us aware of what is under the surface in ourselves and in others; and in professional courses in the higher classes we come face to face with the complexities of the world, with multiple objectives and competing criteria, all of which require both creative and critical processes and where, often, there are as many opinions as discussants! And yes, there are exams to give, but they allow for originality of thought and expression wherever appropriate! The school is affiliated to the Central Board for Secondary Education and offers several interesting subject options in Class XI and XII including Fashion Design, Legal Studies and Entrepreneurship. Professionals are invited to take many of these classes. The aim of the school is to encourage deep interest and learning. This is achieved by encouraging children to ask questions which their own reading and guided explorations or experiments can help them to answer. Interaction between students and teachers make learning lively and individually meaningful. That between students themselves as in group projects promotes teamwork where complementary skills emphasise the multidisciplinary nature of real-word problem-solving. Students find motivation in working on assignments they have chosen themselves, learning skills and techniques which answer to their own interests. Classes are equipped with TV screens on which multimedia content makes learning easier. Rote learning is discouraged. On the other hand it is the application of skills and techniques that is treated as important. We believe that this stands our students in good stead when they are preparing for examinations – in school and after.